At age 18, Rosemary Hawley Jarman went to London to study singing. Family circumstances prevented her from continuing in this direction and she worked for a time in local government in Upton-on-Severn. She was a member of the Richard III Society and a staunch defender of the king's reputation many years before the public recognition aroused by the discovery of his remains. She helped fulfill her personal obsession with King Richard by writing a long novel, We Speak No Treason, based on his true history. It was only by chance that this book, her first work of fiction, was published in 1971. It became a bestseller, received wide acclaim, and launched her career as an author. She lived with writer R.T. Plumb for 18 years before they married in 2002, about a year before his death. 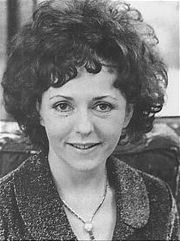 After several more historical novels, including The King's Grey Mare (1972) and The Courts of Illusion (1983), she published her first fantasy, The Captain's Witch, in 2009. In 2010, her Middleham Poems on the life of her hero Richard III, which were set to music by Ted Watson, were performed for the first time with The Royal Shakespeare Company in Stratford-on-Avon. Rosemary Hawley Jarman is currently considered a "single author." If one or more works are by a distinct, homonymous authors, go ahead and split the author. Rosemary Hawley Jarman is composed of 6 names. You can examine and separate out names.